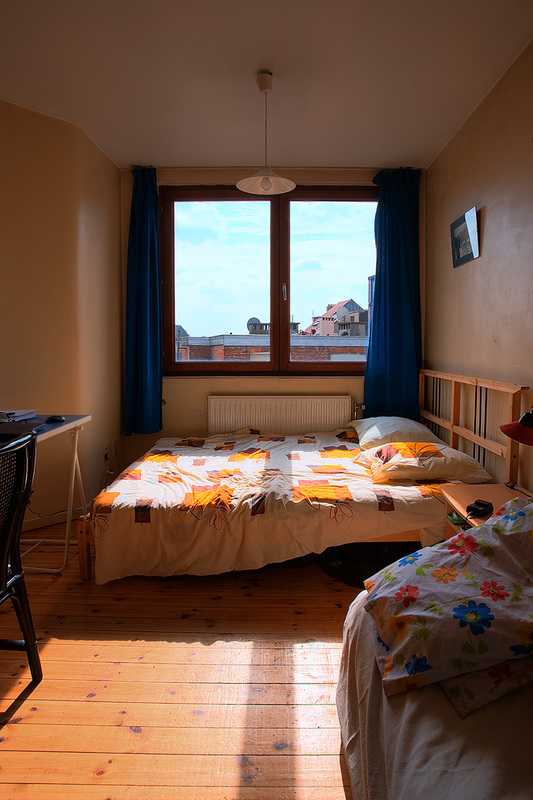 To be precise, it's the European studio apartment I share with my girlfriend. "What does this have to do with traveling," you ask. About two weeks ago, in another damning reminder of my encroaching old age and upcoming mortality, I suffered another acute gout attack. It started in my left foot, triggered by a basketball injury to my left ankle. Strangely, after a few days, the right foot also suffered an attack. Typically it's only the right ankle gets hit and nothing more. A gout attack can accurately be described as the same level of pain when I broke my ankle playing ice hockey as a child. However, with gout, it feels like the bone is breaking if the ankle is rotated even a quarter of an inch. And for one excruciating day, my left ankle felt like it was breaking all day despite the use of heavy anti-inflammatory and pain killing medications. Getting to the point, I essentially couldn't walk for about 2 weeks and as a result, I'd prepared a set of the only photos I could capture when crawling around my apartment was my lone option. As of yesterday, I'm able to walk, albeit still with some pain, so I was able to capture a single shot at lunch for yesterday's photo. Now that I've mostly regained use of my feet, most of these indoor shots will likely not see the light of day. On a technical note, seeing as I had the time, I experimented a little with HDR for this photo. I reluctantly accept the result only because it was my first attempt at HDR using Photomatix (30 day trial). For some HDR wizardry, check out Momentary Awe, the photoblog that made me realize HDR doesn't necessarily have to be overdone and obvious. 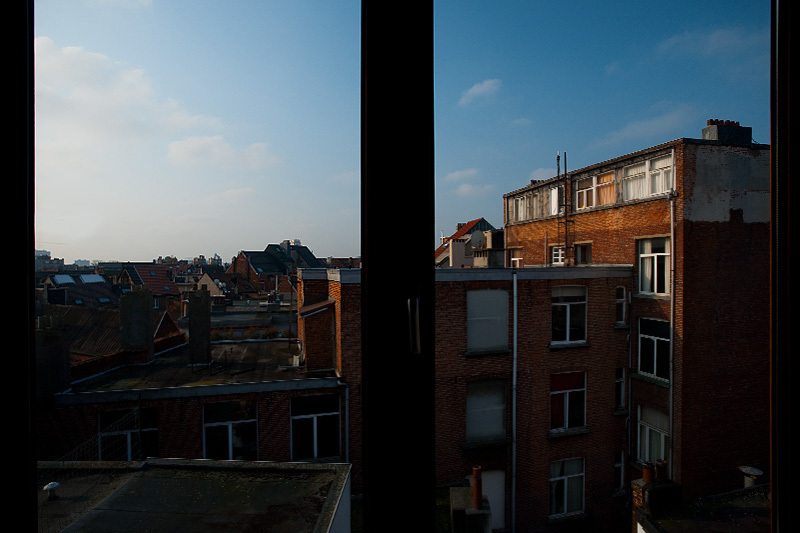 A windowed view of Antwerp's rooftops. Doesn't look like much, but at first, it represented a new exciting chapter of living and traveling in Europe. Now having helplessly stared out that window for two immobile weeks, it represents my renewed appreciation for the basic ability to walk. Look out Antwerp! I'm (gingerly) pounding the pavement tomorrow!